Moto G 3rd Generation is the latest edition to the Moto G line of affordable but impressive smartphones. Moto G (3rd gen) while keeping the similar price tag offers considerably improved features in comparison to the previous model. The Moto G (3rd Gen) is equipped with an upgraded 64-bit 1.4 GHz Quad-core Qualcomm Snapdragon 410 processor, 2 GB RAM and advanced Adreno 306 Graphics processor. Unlike its predecessor hardware wise this is a massive upgrade to the latest phone in Moto G Series. This upgraded hardware will allow you to fully utilize Android Lollipop features leading to flawless gaming and seamlessly streaming of HD videos without any lag. 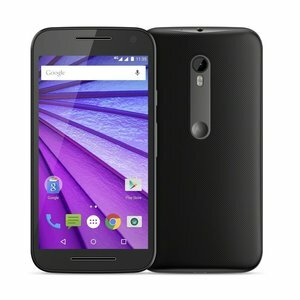 Moto G 3rd Gen features a 5″ IPS LCD display with Corning Gorilla Glass 3 protection. With a pixel density of 294ppi it offers a resolution of 1280 x 720 pixels which may not wow you. However considering the steller price it is being offered at, it has decent viewing angles and provides good contrast even under bright sunlight. The battery is comparatively bigger at 2,470mAh and is on par even with higher priced models. Moto G 3rd Gen offers a primary camera of 13 MP which is basically the same 13-megapixel camera from Nexus 6 but with f/2.0 lens. It offers a huge improvement over Moto G 2nd Gen 8MP camera with detailed and crisp photos and better low light photography with dual-tone LED flash. The company has kept the camera interface minimal which resembles Moto X and you just have to tap the screen to take pictures as autofocus is switched on by default. It also features a front camera of 5 MP with f/2.2 lens which if not great is adequate for selfie shots. Moto G 3rd gen supports dual sim and 4G as well. Other connectivity features include Wi-fi 802.11 a/b/g/n, GPS with A-GPS, Bluetooth 4.0 with sensors as proximity sensor and an accelerometer. Moto G 3rd gen overall sports the best features in the Moto G series of phones with superb build quality, upgraded 13 MP camera and good battery life at a superb price point.